People’s use of energy around the world is increasing (WB, 2017). This is caused by a combination of factors such as a growing population, a higher concentration of people in urban areas and higher rates of industrialization (Johansson et al., 2012). Since the industrial revolution, most of the energy in the world has been obtained from fossil fuels that are, notably, linked to the release of greenhouse gas (GHG) emissions. By now, there is widespread consensus among scientists that anthropogenic GHG emissions contribute to changing the climate by disrupting the planet’s inherent energy balance. Among all the sources of anthropogenic GHG emissions, energy production and use contributes the most – around two thirds (IEA, 2015), making the energy sector central to climate change discussions. Therefore, a transition is underway towards renewable energy obtained from “cleaner” sources such as the sun, wind, biomass, tides and so on. Among different types of renewables, biofuels are of particular interest because they can emit less GHGs and make countries less dependent on oil imports and their volatile prices (Karatzos et al., 2014). In a little over two decades, between 1990 and 2014, emissions from the transport sector increased by 71% (IEA, 2016), and these emissions will continue to increase in the near future. The International Energy Agency (IEA, 2017) projects that under the current policies, emissions in the transport sector will increase by 17% between 2015 and 2040. Switching to biofuels can thus bring multiple long term benefits. However, despite the general agreement that biofuels emit less than oil-derived fuels, the actual GHG emissions (for the same type of biofuels, i.e. bioethanol, biogasoline, etc.) may vary. The variation between studies emerges because of complexity of calculations that involve different inputs during the numerous production steps. Moreover, there is a distinction between the biofuels based on the type of feedstock. The so called “conventional” biofuels are produced using agricultural crops (i.e. sugarcane, sugar beet, etc.) while “advanced” refers to non-crop based biofuels (i.e. derived from biomass, algae, etc. ; EC, 2016) that have not reached large commercial-scale production. Calculating total GHG emissions of biofuels involves data from multiple stages of production, such as the crop cultivation (conventional biofuels) or extraction (advanced biofuels), processing, transport, and distribution. Each step can also have many sub-steps, i.e. producing “conventional” biofuels involves cultivating the crops that cover four main categories of inputs: (1) agro-chemical application; (2) field nitrous oxide emissions; (3) fossil fuel use; and (4) seeding material (Ecofys, 2010; EC, 2016). Thus, reported GHG emissions for the same type of biofuel can be different depending on where and how it was produced. When discussing biofuels, it is important then to understand what type of biofuel is being discussed, what feedstock type, how it was produced (process route) and where. Sometimes, such as in the EU energy directive, the reported ranges also specify whether emissions of biofuels refer to “typical” GHG or “default” GHG. The former is an estimate that is typical in the EU while the latter is derived from the typical value using pre-determined factors (EC, 2016). In other words, factors such as the crop yield in Europe can be different from the specified ‘default’ crop yield. The following examples demonstrate how biofuel type, feedstock type, and process route affect the GHG emissions of biofuels. “Conventional” bioethanol can be produced using a range of crops. Using sugar based crops such as sugar beet or sugarcane requires less processing steps because sugars are readily fermentable. This means that sugar based crops emit less GHGs than starch based crops such as maize, that require relatively more processing steps to convert them to fermentable sugars. Therefore, a typical emission of a “conventional” bioethanol produced from sugarcane is 28 g CO2eq/MJ and for sugar beet is around 31 g CO2eq/MJ. In contrast, a typical emission of maize based “conventional” bioethanol is around 49 g CO2eq/MJ (EC, 2016). While both bioethanol and biodiesel are biofuels, biodiesel emissions are higher than bioethanol emissions. Typical GHG emissions of a sunflower based “conventional” biodiesel is around 40 g CO2eq/MJ. 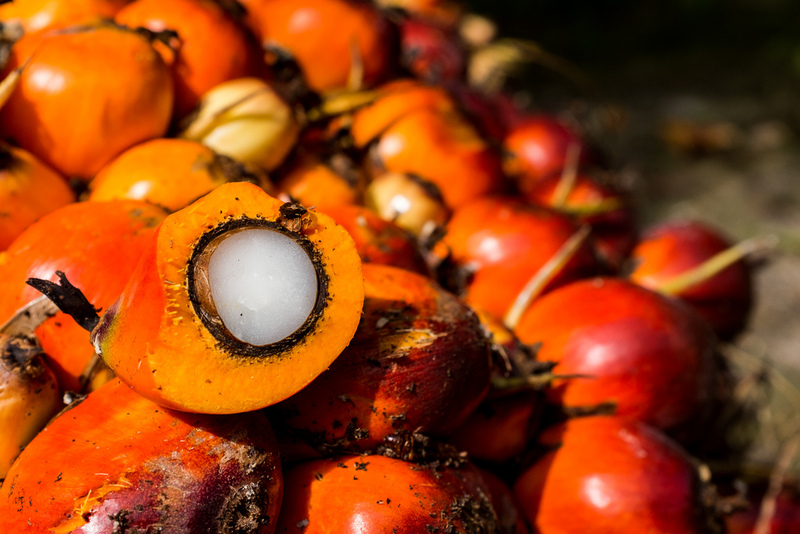 Using palm oil as the feedstock can increase typical emissions to 58 g CO2eq/MJ. It is important to note that the “default” GHG emissions can be even higher. For instance, palm oil based “conventional” biodiesel has a default emission of 70 g CO2eq/MJ (EC, 2016). At the same time, despite having higher emissions, biodiesel can be readily used in diesel cars whereas bioethanol has to be blended with a certain ratio of gasoline to prevent corrosion of car parts. “Advanced” biofuels are usually promoted for their dependence on non-crop feedstocks, while in reality, they also lead to less GHG emissions compared to “conventional” biofuels. For example, producing bioethanol from corn stover can lower emissions to 31 g CO2eq/MJ (IEA, 2013), whereas using wheat straw would typically emit 13.7 g CO2eq/MJ (EC, 2016). Similarly, using waste cooking oil to produce “advanced” biodiesel would typically emit 16 g CO2eq/MJ (EC, 2016). In terms of process routes, they are more applicable to “advanced” biofuels than to “conventional” biofuels. The latter are produced using more established methods. In contrast, feedstock processing routes of “advanced” biofuels are still in development and their effect on GHG emissions are less clear cut. For example, converting wood residue to gasoline through the “pyrolysis” processing route can emit around 49 g CO2eq/MJ while choosing the “sugar catalysis” process only emits around 5 g CO2eq/MJ (IEA, 2013). For practical reasons, biofuel’s GHG emissions are also compared to fossil fuel emissions to indicate the degree of emissions that can be ‘saved’ by switching to a given biofuel. To give some examples, approximately 87 grams of CO2eq emissions are emitted per MJ of oil based gasoline. In contrast, converting wood residue to gasoline can lower emissions to a range between 2 and 49 grams per MJ (depending on the process route) that translates to the GHG emission savings in the range of 98% and 43%, respectively (IEA, 2013). In conclusion, many factors contribute to the GHG emissions of biofuels. General biofuel emissions always embody certain underlying assumptions related to the feedstock, process route, location specific conditions, etc. Addressing each and every assumption of biofuel production that can yield a certain cumulative GHG emission is challenging. Thus, from the policy making perspective, the old proverb “measure twice and cut once” is ever pertinent. Johansson, T. B., Patwardhan, A. P., Nakićenović, N., & Gomez-Echeverri, L. (2012). Global energy assessment: toward a sustainable future. Cambridge, UK: Cambridge University Press. Karatzos, S., McMillan, J.D., Saddler, J.N. (2014). The Potential and Challenges of Drop-in Biofuels. Paris, FR: International Energy Agency.